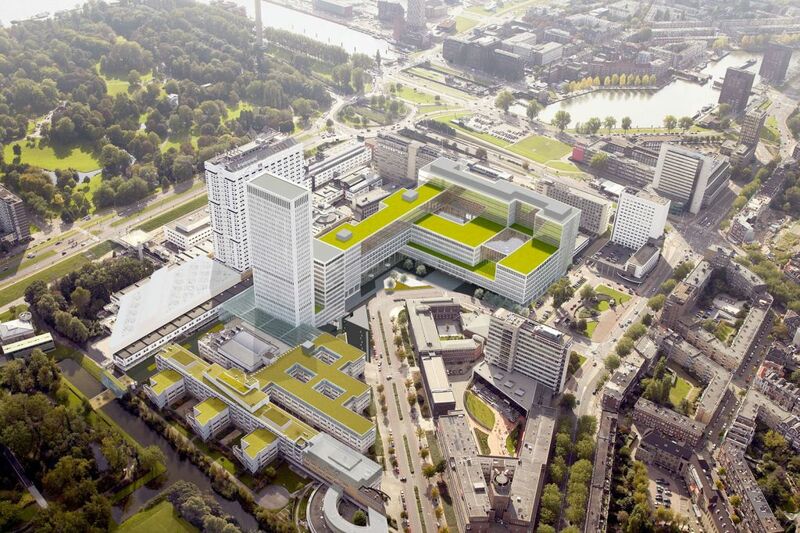 The new Erasmus MC, right in the middle of Rotterdam, is almost finished. It was a deliberate choice to keep the new building in the heart of the city and not to construct it at the outer circle. Now a hospital rises up with its urban building structure, adding a number of green spaces in the city. As far as the design and facilities are concerned, the Erasmus MC will be able to fully meet expectations by putting its main focus on the independence and well-being of the patient. With this in mind, the structure of the new medical centre is divided into sections based on a number of patient themes which stretch out from the atrium, the centre of each theme. This design provides a logical format in which all the coordinating treatment areas are close together making it easy for the patients to find their way around. 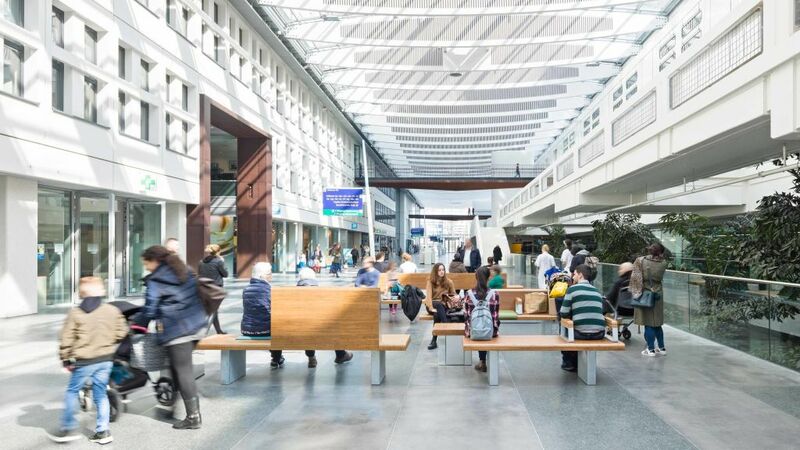 A large glass roof forms the backbone of the structure and connects the new medical centre with the existing faculty building, providing a bright open space and a clear orientation. A robust framework of columns together with the large rambling floor spaces allow for uncomplicated changes in the use of levels and hospital functions. Moreover, the interior of the building is separated from the structural design so that the latest insights and technical developments can be included. 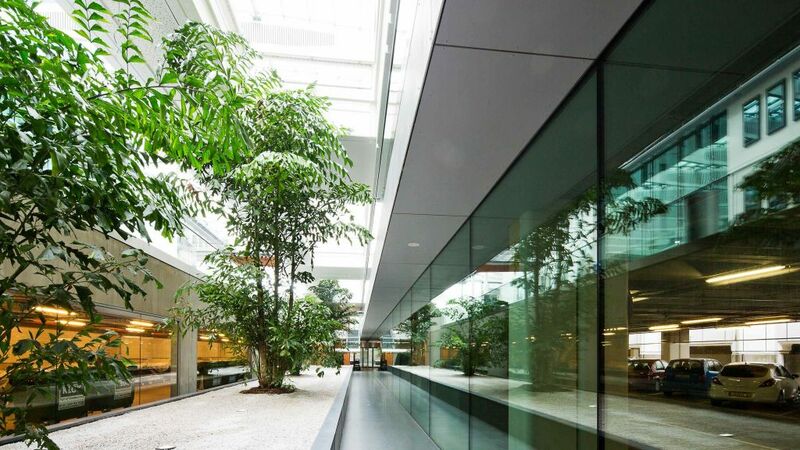 This makes the Erasmus MC a building of, and for, the future – where the building has been both literally and figuratively built around the care of the patient.